There&apos;s something weirdly interesting about Bound By Flame and it&apos;s hard to pick out what exactly it is. By all accounts the game seems like a relatively straightforward action RPG, complete with trope-y environments and all the expected fantasy-trappings. But the art direction seems to elevate the subject matter with a strange can&apos;t-quite-put-your-finger-on-it flair. It is taking after Dark Souls? Old-school Western RPGs? Fantasy horror contemporary fiction? Wizards of the Coast? The Witcher? It&apos;s hard to say. Coming from the developer Spiders, most recently known for the mostly-forgettable Mars: War Logs, Bound By Flame seems like a good B-Movie summer RPG, either because the release list for the coming months is few or because the weird collision of dark fantasy and 1970s genre films seems to work really well in opposition to whatever otherwise generic elements there are. Oh, you can also play as a warrior (swords and warhammers), ranger (stealth and dual-wielding) or pyromancer (pyromancy). Video games. 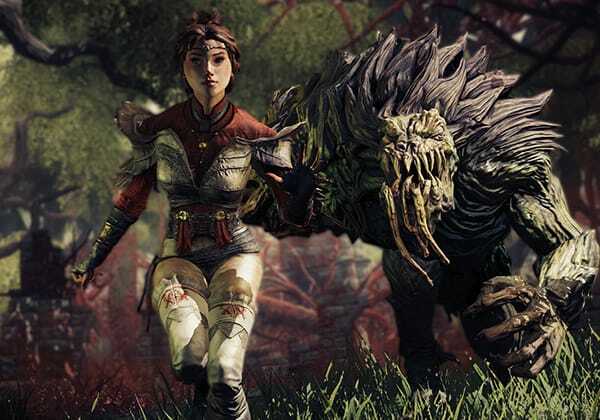 Bound By Flame hits PS3, PS4, Xbox 360 and PC May 9.